Term 1 starting 5 April 2016. 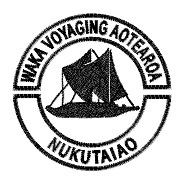 Update: New date for this first Waka Voyaging virtual field trip confirmed as 5-7 April 2016 and new location as Whakatane. Learning about waka and waka voyaging is a story of connections. 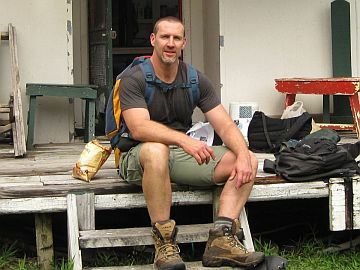 You will connect with an important part of Aotearoa New Zealand history which reinforces our place in the Pacific region. You will be in the outdoors connecting with the environment and understanding its patterns. You will be immersed in the language and traditions of Māori and Pasifika peoples. You will be in safe hands! The Nukutaiao Waka Hourua has performed numerous coastal voyages and has proven its capability to sail in rough weather. The Waka crews eight people, with four operating it at a time. Sailing on the open ocean is an exciting adventure but it does require careful preparation. You need a compelling reason, a fit-for-purpose vessel, trained and able crew, procedures for emergencies, ways of keeping positive, and ways of keeping clean, fed and hydrated. You also don't want to get lost so you will learn the skills of traditional navigation using a star compass. Under sail, join the youth ambassador and the LEARNZ teacher as you live and work in cramped conditions, eating, sleeping and living with the crew. You will need to bring your own sense of purpose and have knowledge, skills, fitness, stamina and patience! Bring it on! Enrol now. what is a waka hourua? Fly to Whakatane and start your virtual field trip experience with the ceremonial launch of the repaired waka. Over the following days, take part in sea trials and training which include sailing to Moutohora Island (Whale Island) in preparation for the voyage to Noumea, New Caledonia. "Excellent self paced real world learning. Great to have multimedia resources students could relate to." Kevin Mellon from Sommerville School. "Best when you build an inquiry unit around the Field Trip. Being able to ask (live) questions using Back Channel was particularly useful during audioconferences." Rachel O'Connell from Lawrence Area School. The field trip will focus on the four dimensions of hauora/wellbeing (in the context of the practical aspects and holistic approach to Waka Voyaging) Taha Wairua: ​being at one with Tangaroa and the stars plus everyone in your crew. Taha Tinana: ​being physically able to handle the demands of the ocean and sailing. Taha Hinengaro: ​having the knowledge of how to sail safely and properly. Taha whanau: ​being completely as one whanau, as these are the people for whom you put your trust and life in on the water.